Lap Band Gal! 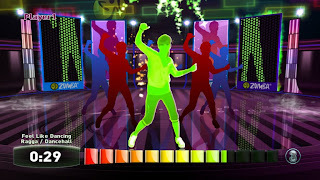 : Zumba Fitness for the Wii - Review! 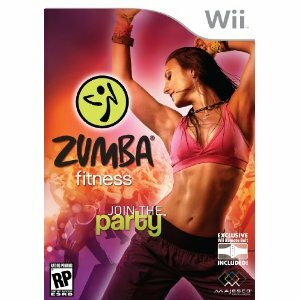 I've just completed a session with my new video game "Zumba Fitness" for the Wii. Can't wait to tell you all about it! Before I provide my opinion on it, I'll first provide some background on my relationship with Zumba in general. I started Zumba classes with my local county parks/recreation department back in January 2010 when I weighed about 215 lbs. I have been Zumba'ing two to three times a week ever since. I have NEVER stuck to any exercise program...EVER...let alone for almost a year. I like Zumba because it doesn't feel like a boring visit to the gym walking on the treadmill or as I like to call it...the DREADmill. Yikes, it's like nails on the chalkboard...don't make me! You put the Wii controller in the pouch on the belt and off you go! It is pretty much the same moves that I have learned in Zumba classes, so I think that if you are a complete newbie to Zumba, there may be a bit of a learning curve for you. However there are plenty of Beginner, Intermediate, and Advanced levels and routines to chose from. The goal of the game is to do the moves correctly and therefore earning "energy" bars as shown on the bottom of the screen in a counter. You know that you're earning "energy" when the instructor turns green. I was able to move up 5 levels by earning energy during my session. Overall, it provides an awesome, fun, sweaty, heart-raising workout. I still prefer the in-real-life Zumba classes in my town, as there's more accountability with an instructor watching. But this game is perfect when there are no classes available/scheduled or for extra workouts. Definitely check it out....so FUN! Just put on my Christmas list. Thanks. Awesome! Thanks for the review. I've been wondering about this one and I have a gift card burning a whole in my pocket, now I know what Wii game to get!! I've been loving Just Dance 2 lately. My sister and her boyfriend came over today and we popped it in. Even for the person watching it's a workout because you can't stop laughing!! Great!! Thanks for the review!! And I love the Christmas header on your blog!! So festive!! THANKS FOR THE REWIEW. I cant wait to get it. I have it and the review you gave it is exactly what I think about it! I am a Zumba lover, so it's great! 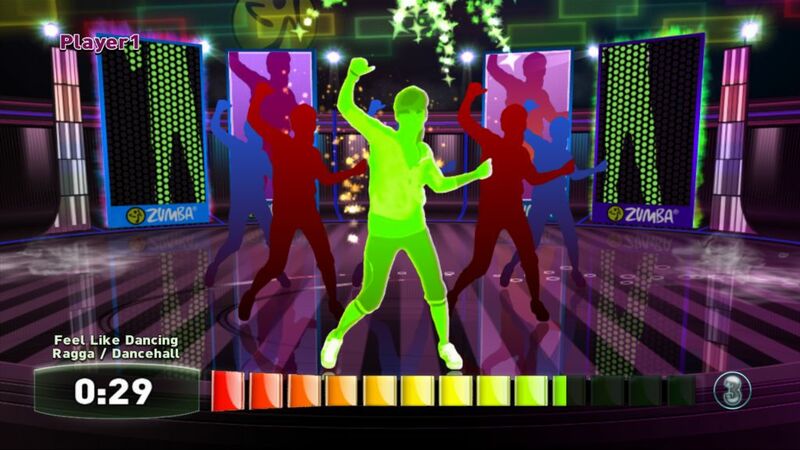 Just wanted to say thank you, i was trying to decide if the zumba game was worth getting, when i stumbled on here and ended up reading most of your blogs. you have REALLY REALLY inspired me on achieving my weight goals. My mom also loves dancing for fitness. The thing about dancing is that every part of your body moves so all the bad fats burn through some shaky movements. Dancing Zumba is a great way to gain a curvy body naturally. Speaking of natural, Holistic Nutrition (Calgary) is also a great way to attain fitness. With all the junk we eat in the years of our existence, it is just right to wash away all the dirt in our body by eating healthy foods like veggies, fruits and other crops that are rich in fiber. Through Iridology (Calgary) you would learn what organ in your body may be weak or need medication. So in order to avoid weak organs we should stay active in achieving fitness. THANKS for the review! I just got mine outta the box and LOVE IT!!!! Ok I just bought this since I cannot find time to hit the gym with an 8 week old baby and I am even more excited since I read your review!! Thanks for sharing!! My Invisibility Cloak...Have You Seen it? Weigh-in Day...and the results are...GOAL!!!! Last Chance to Enter LIVE MY CHOICE Contest! What was your word for the year? I was on the evening news! Sugar Addicts - Here's your proof!